This is the time to up your game with easy but healthy snack options that will keep you satisfied for the long-haul. Are you spending the Olympics glued to your TV not wanting to miss a minute of the action? We are in awe of all the seasoned athletes chasing their dream of going for gold. And while we can't offer tips on how to land a triple axel or win at the giant slalom, we can definitely help you fuel up while you take it all in. The Olympics celebrate the greatest athletes in the world, men and women who have dedicated their lives to being the best in their sport. This is not the time to bring out a greasy bag of chips or dig in to fatty french fries. This is the time to up your game with easy but healthy snack options that will keep you satisfied for the long-haul. 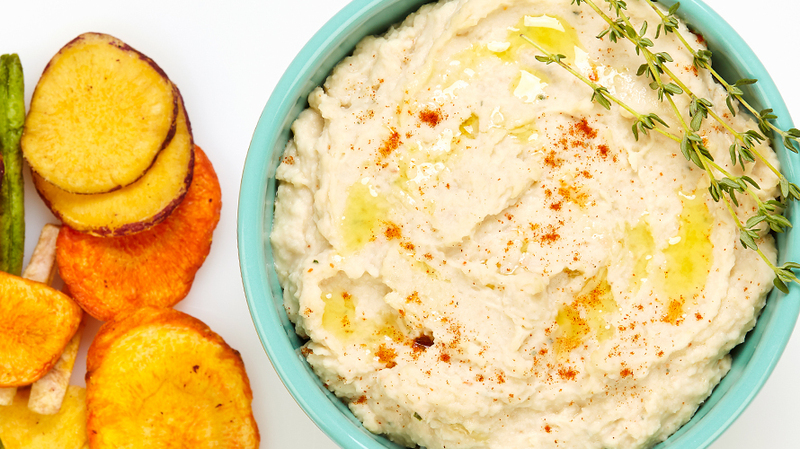 So ditch the deep fryer and dig in to these delicious recipes that offer a healthy twist on some of your favourites so you can snack with pride. Go Canada! Holy Guacamole! Forget store-bought. 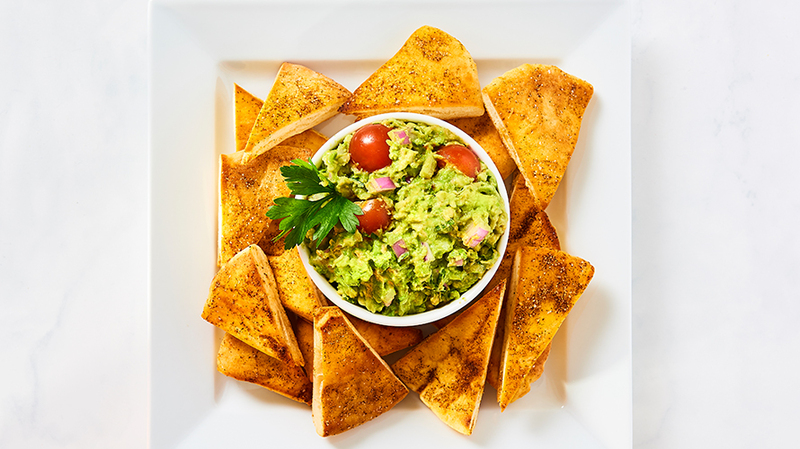 This recipe for homemade zesty guac and spiced pita chips is unbelievably easy and delicious. When someone calls me a pea-brain, my response is always, "Thanks, man," because, hey, who wouldn't want to think about those little sweet green orbs 24/7? I've got peas on my brain (and on my tongue) more often than not thanks to Genius Gnat who has created this amazing appetizer. 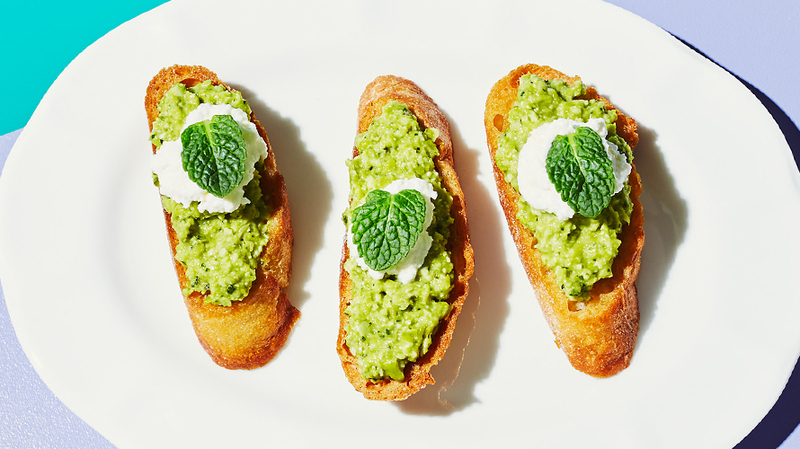 Crusty French bread is toasted and then topped with sweet peas that have been blended with fresh mint and finished with lemony ricotta cheese. One bite and you'll quickly discover that only fools aren't pea-brained. These easy, healthy and flavourful Thai Chicken Meatball Wraps are a delicious Asian twist on a classic Italian dish. 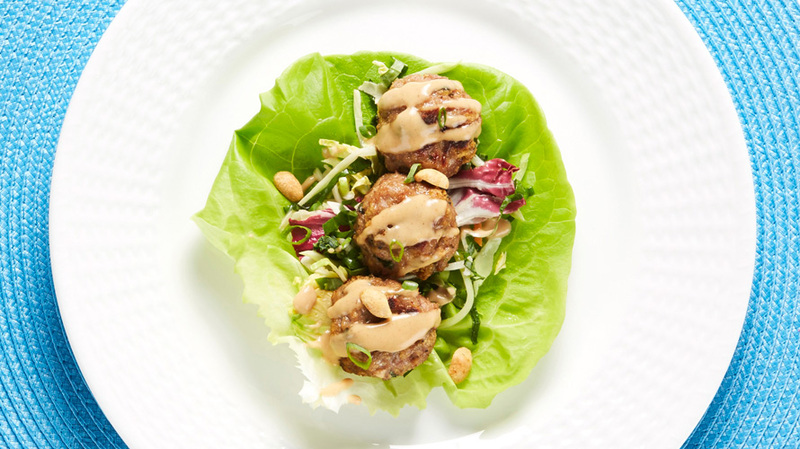 Sorry spaghetti, but this is a meal you can hold in your hand, butter lettuce filled with Thai-flavoured chicken meatballs, a light peanut sauce and a spicy slaw. Forget the deep frying and opt for these refreshingly delicious, healthy and impressive Shrimp Rice Paper Rolls. 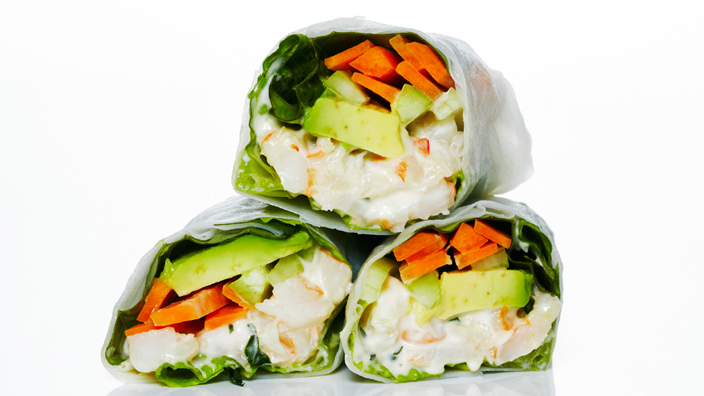 Easy to make, Vietnamese rice paper is filled with a zesty shrimp salad, creamy avocado, crunchy vegetables and served with a wasabi dipping sauce. Don't favour shrimp? The possibilities for fillings are endless, everything from chicken and tofu to mango and cilantro. 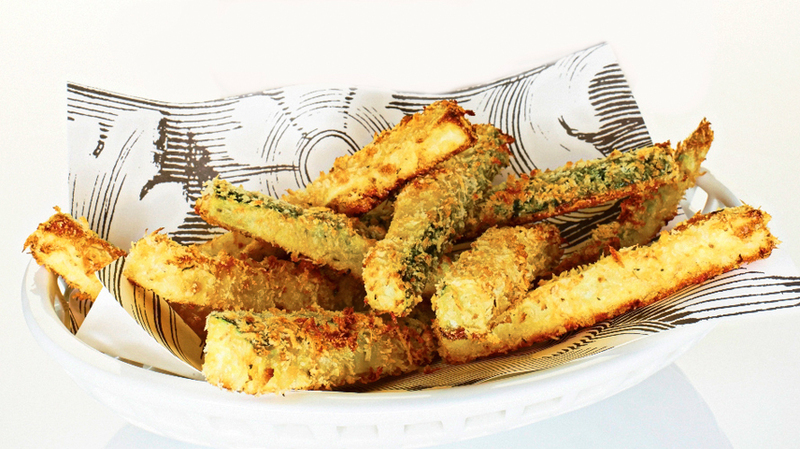 Without fail, before we can get these Crunchy Baked Zucchini Fries with Caramelized Onion Dip to the platter, they're half gone. Baked until golden and crisp, these "fries," dunked in a richly flavourful caramelized onion dip, are addictive! Traditionally, tostadas are flat, deep-fried tortillas topped with refried beans, cheese and other fixings. 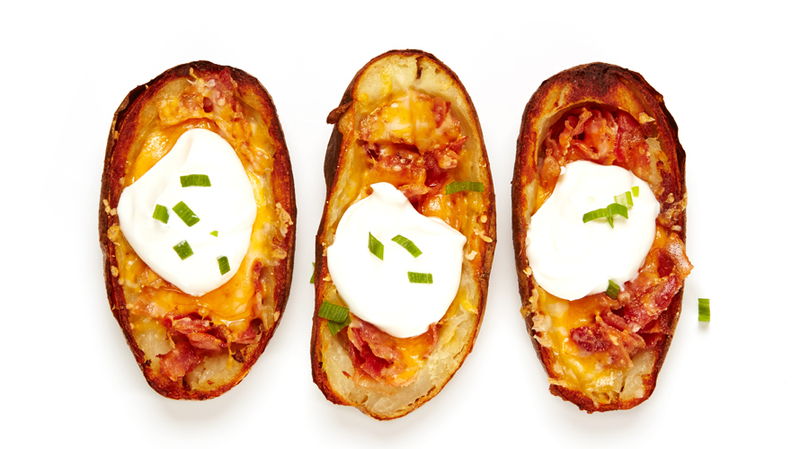 Tasty, but try balancing a greasy "open face" taco in one hand while not spilling your drink from the other. Awkward. 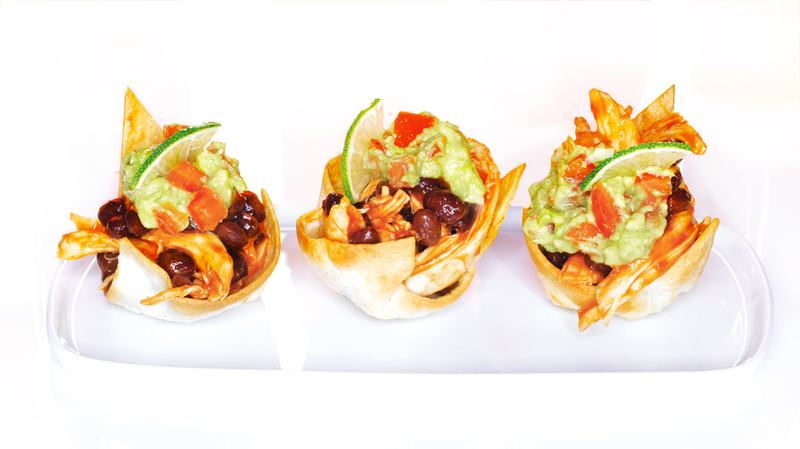 We won 't let your fiesta flop; these tortilla cups mounded with Mexican-spiced chicken and creamy guacamole guarantee the only thing to hit the deck will be your Corona-crocked amigos. And if you need a little cocktail to take your Olympic viewing party to new heights, check out our video on how to make three classically delicious favourites!